The film follows a cynical woman who doesn't believe in love and then wakes up to discover that her life has become a romantic comedy. Isn't It Romantic was released on Cinema 68d ago in the US and the UK. Based on 16 Isn't It Romantic Cinema reviews, Isn't It Romantic gets an average Cinema review score of 66. The score for all versions is 66 based on a total of 16 reviews. Rebel Wilson stars as a rom-com-detesting Manhattanite who finds herself in a glossy fantasyland of rom-com cliches. Isn’t It Romantic, the film, is “a dream that can be heard,” but only as a counter melody to the main theme. 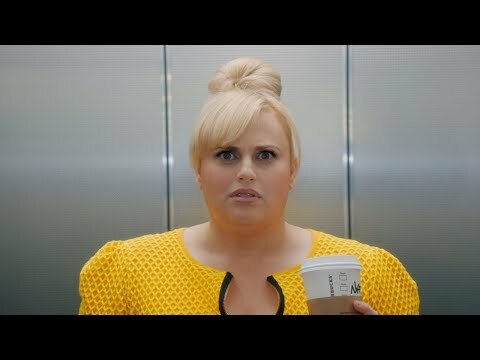 Rebel Wilson may not look like your typical romantic comedy lead, but she fits the formula just fine in this so-so meta-send-up of the genre. As the film becomes increasingly reliant on predictable narrative tropes, it evolves into the very thing it set out to parody. The film’s reliance on conventions even as it snickers at them gives it the faint air of a con.